My name is heidl and I’m a soundtrack-, film-, and art-aficionado from Austria. My love for filmmusic started at an early age. It must have been 1986 when I watched Return of the Jedi for the very first time. I still see my younger self sitting there on the living room floor, open-mouthed by the world that unfolded before my eyes. This wondrous, magical galaxy full of mystery and adventure. I was completely floored! For Christmas I begged my father for a Return of the Jedi radio play. Only, what I found under the tree wasn’t a radio play. It was a small compact disc cover, all black with a blue lightsaber held majestically into the starry night. It was the soundtrack album. My father accidentally bought it in mistake for the play. It was my first film score and this very original is still part of my ever-growing soundtrack collection. In my younger days I’ve been primarily listening to blockbuster scores from such greats as John Williams, James Horner or Alan Silvestri. But by now I’m also and particularly drawn towards the gentle tones. Electronic ambient scores or melancholy piano music. There’s hardly a day I’m not listening to film music. According to last.fm it is by far my most popular musical genre and I’m pretty sure that won’t ever change. But what about the custom covers you ask? Well it all started at some point around the year 2006. I got myself an iPod 5G, the first one to handle cover art, and I immediately started looking for proper artworks. Though the world wide web back then wasn’t the comfort zone it is today. For the most times I didn’t find any suitable images and thus had to design the missing covers myself – in glorious 500×500 pixels! Jasc PaintShop Pro was my weapon of choice back then and limited were my rookie skills. But I was a busy learner and what started with just a bunch of artworks for James Horner’s Aliens ended with a considerable collection of around 350 selfmade custom covers. Kind as I am, I shared them via the now defunct Amazon customer image galleries. Some of them are still online today, for example this early endeavor for correct typewriting. I guess overall people enjoyed my first steps into this time-consuming hobby quite well. 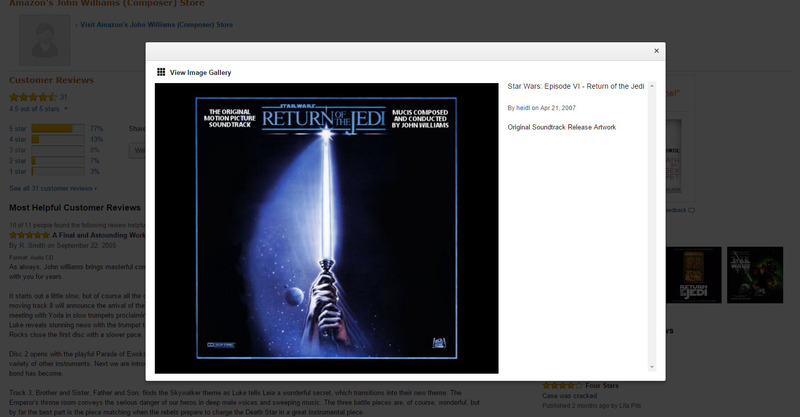 Somebody apparently even took the time to fix my typo and upload the Return of the Jedi cover on Wikipedia. As I continued making and sharing covers, a new thought popped into my head after a while. It was time to present my works in the right light. It was time for a website. My first online presence was a self-made and self-hosted website created entirely with Microsoft Frontpage. And it was absolutely hideous! But I was proud of it nonetheless. 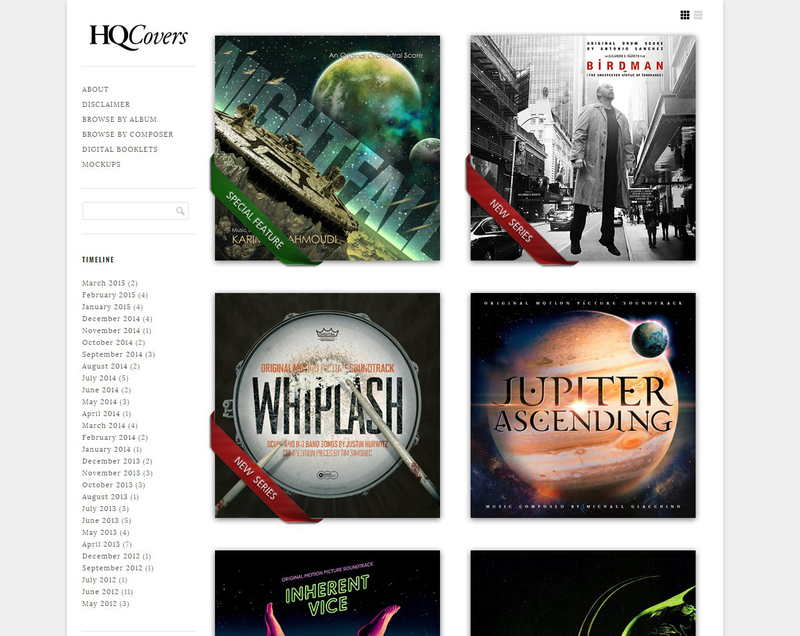 After registering the domain “hqcovers.net” I added a whole lot of fancy web 2.0 functions, such as a dynamic image database, full screen image views or random image transitions. But my update frequency was low and visitor stats were poor. And at the end of the day administrating it took way too much time. So it only lasted for one or two years until the domain expired and I forgot to renew it. A few years later I uploaded all my stuff in one go into one of those Picasa web albums, assuming that this was the right way to share painstakingly created personal work. Well, guess what, I was wrong again. The only person caring for it was myself. And it was a sorry sight to see all those small achievements dumped into a bunch of folders. Also, I was missing another key feature: I wanted to explain myself to the world and give insight into the creation process. And a random online image service wasn’t the right way to do this, not at all. So it became orphaned pretty soon and I didn’t even care years later when Google announced that their Picasa web service will go down for good and with it all uploaded user albums as well. I had already wrapped my head around a new project. For months I was conceptualizing a personal blog and art portfolio. Torn between Blogger and WordPress I started to create a prototype blog on both platforms until I ultimately opted for WordPress because of its numerous design possibilities. I imagined a type-driven website with my covers as the only graphical elements. And I also planned to remake almost all of my existing custom covers in a higher resolution. To make them palatable for contemporary tastes. 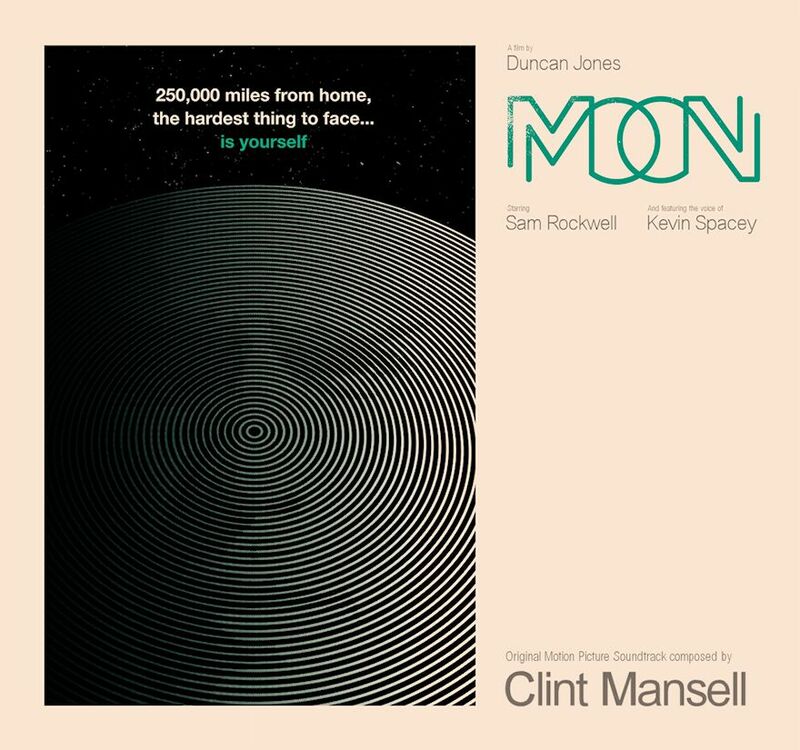 It was May 2012 when HQCovers went online with a bunch of custom covers for Clint Mansell’s Moon. After some months of posting covers and actively promoting the site, stats slowly began to rise and by the time of December and more importantly, the covers collection for the first Hobbit score, user stats skyrocketed through the roof. Finally this train got rolling. 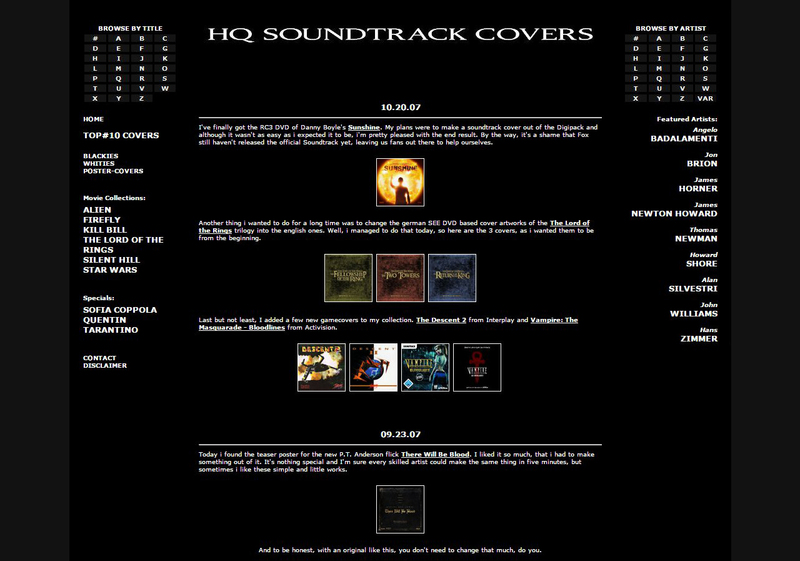 What followed were two years of constantly creating and posting custom covers for all kinds of scores. I was still using PaintShop Pro at that time, but also slowly warming up towards Adobe Photoshop and its much more powerful possibilities. Probably the most important turning point for me personally was when I published a collection for Alexandre Desplat’s Godzilla in May 2014. It was the first time that I have been working on a semi-realistic vinyl mockup and it turned out absolutely fantastic. I was blown away myself by the result and it was the starting point for a real mockup obsession of mine. It had also earned me quite some recognition among fellow designers and I surely wouldn’t have been able to land some really great commission works if it wasn’t for that mockup and the plethora following it. I have come to know a lot of awesome people in the past few years and worked on some truly great projects. I’ll surely never forget seeing my first original design popping up on the iTunes store. Or the day when Varèse Sarabande decided not to sue me but instead re-publish all of my Whiplash tribute artworks on their Twitter feed. Treasured moments, beyond doubt. Thanks to everybody who supported and encouraged me through the years! Overall designing album covers has become an important part of my life and I wouldn’t want to miss a single beat of it. It combines everything I love in music, movies and art. And it constantly fills my heart with joy. A very special word of thanks goes to Luis M. Rojas for inspiring me to start making custom covers in the first place. SonicAdventure for being my constant partner in crime. Rotane for his tremendous help in so many things. Karim Elmahmoudi for giving me the chance to get a first taste in professional design. Jim Quackenbush for his amazing collection of vinyl artworks. My buddy Ike for bearing my ramblings on design and providing invaluable feedback. And finally my beautiful wife for her endless patience and her appreciation of this time-consuming hobby. Also, thank you for visiting my website! I hope you’re enjoying your stay.